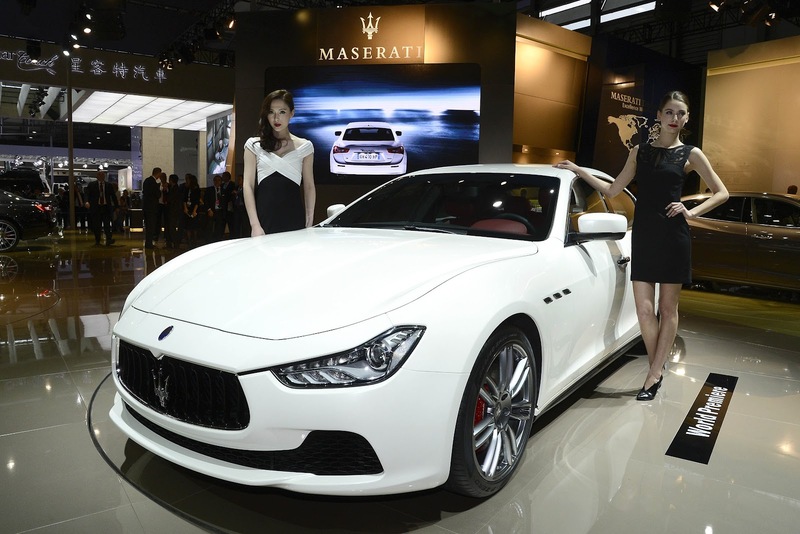 The Maserati Ghibli has launched at the 2013 Shanghai Motor Show, and for the first time in Maserati's history one of the powerplants available will be a diesel. 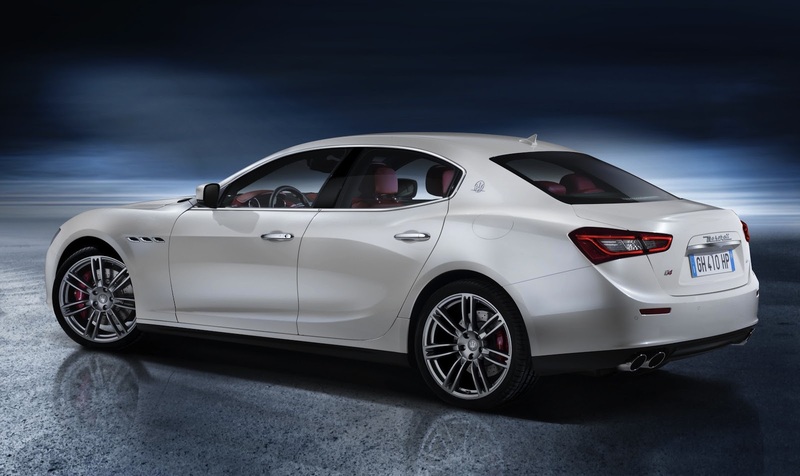 The Ghibli, a four door saloon that sits under the Quattroporte in terms of size and price, is a direct competitor for the Jaguar XF, Mercedes-Benz E-class and BMW 5-series. It's also a beautiful machine that is only matched by the Jaguar for sheer flair. 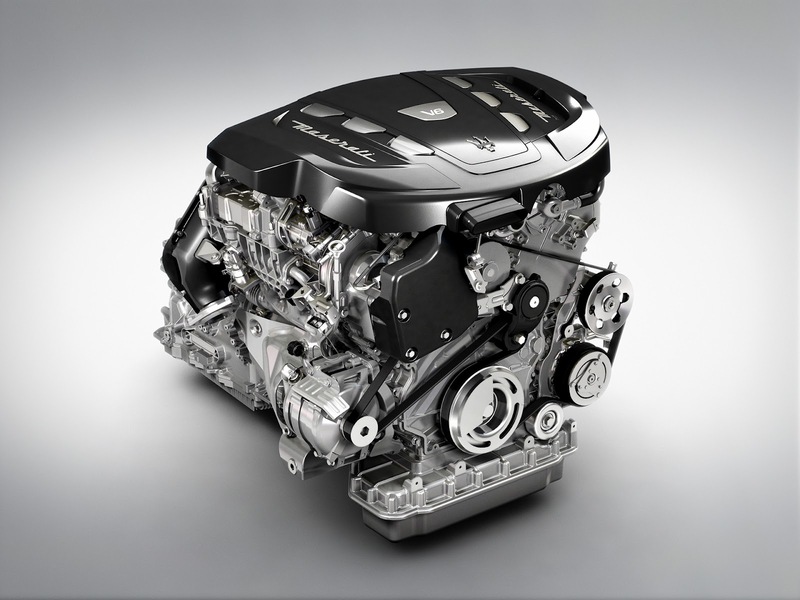 The engines available in the Ghibli are all 3 litre V6s. The most powerful is the twin-turbo Ghibli S, with 410hp, which can reach 0-62mph in 5 seconds flat. Next in the range is the Ghibli - also with a 3 litre, twin-turbo but with 330hp and 0-62mph in 5.6 seconds. 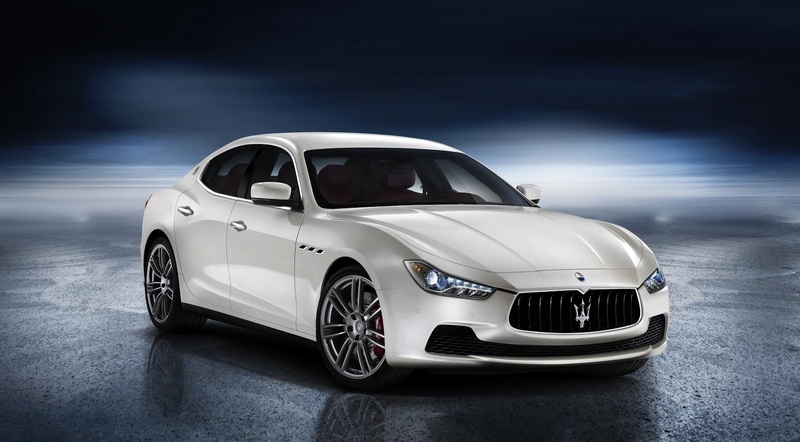 Both petrol engines were developed by Maserati Powertrain in partnership with Ferrari, and will be built by Ferrari in Maranello. The diesel engine is a supercharged, 3 litre V6 which develops 275hp, and 600Nm of torque. 0-62mph takes 6.3 seconds. Crucially for a diesel it delivers 47mpg and 160g/km of CO2. Maserati have taken care to make their first diesel sounds as good as possible by way of sound actuators, fitted near the tail pipes, which accentuate the engine's most distinctive tones. It will be interesting to see if Maserati can pull it off and make an oil-burner sound desirable. The chassis of the Ghibli sounds promising, with double wishbone front suspension and multi-link rear suspension with the option of an active Skyhook system, part time four wheel drive (in LHD markets) and a mechanical limited slip differential on all models. Prices have yet to be released but expect the Ghibli to start at around £50,000 in the UK and $60,000 in the US.